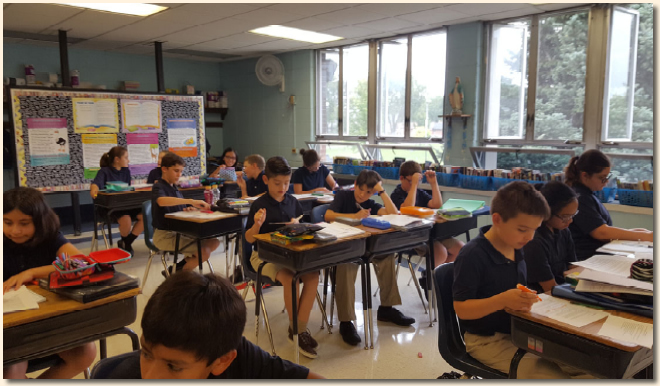 Here are sixth graders working on Greek mythology. Greek creation myth (Pandora's Box) to the creation story of Adam and Eve in the Bible. 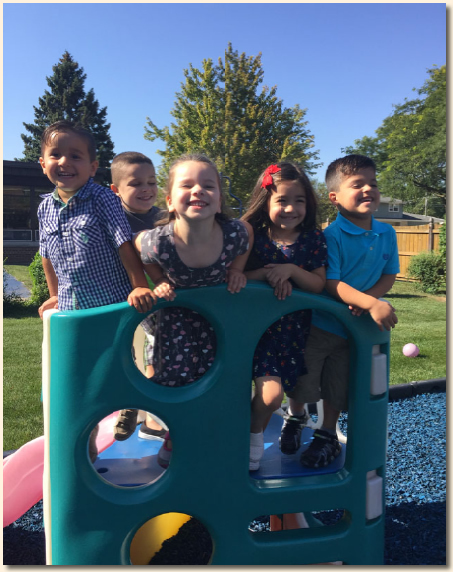 and playing in our wonderful playground on a beautiful sunny day! 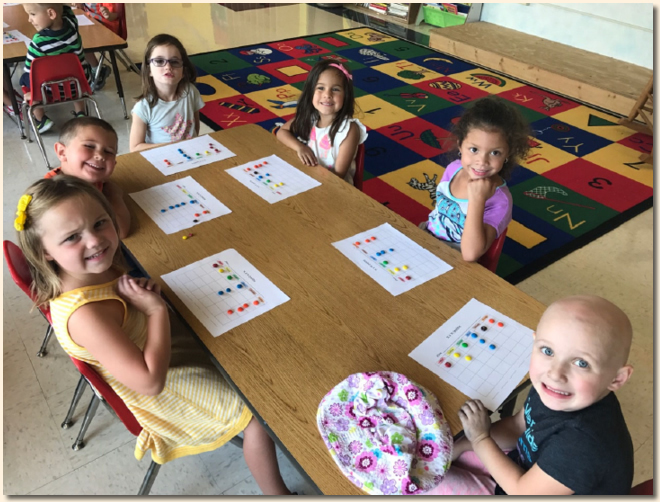 In Mrs. Dougherty's class the children are working on the letter Mm. They used colorful M & Ms to graph the different colors. This Math lesson was extra fun and extra yummy! One of our 8th grade classes all ready to start the new year! 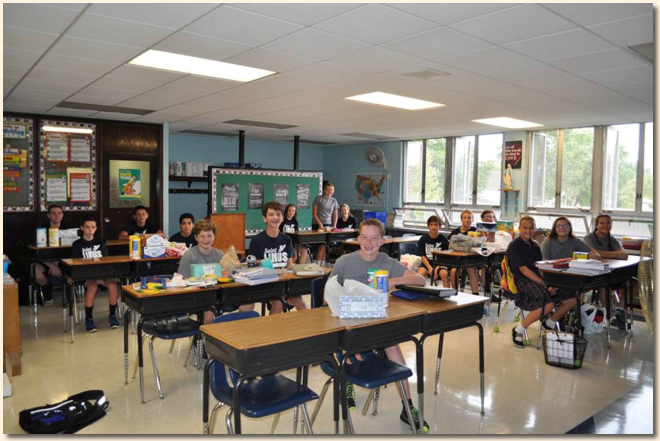 We look forward to an exciting activity–filled year for these wonderful 8th graders! And here they come! At the end of their first day of school. 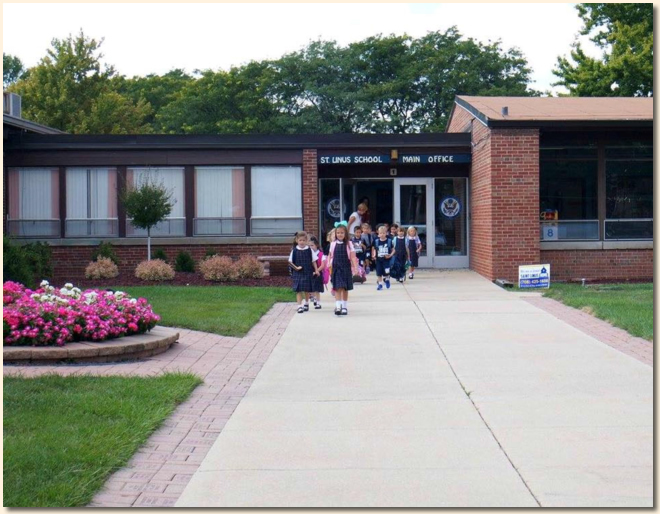 This first grade class was ready to go when they got into school and just as ready to go home! Check out our beautiful landscaping. Its growing nicely. Look at the smiles on those second graders’ faces. Ms. Anderson ‘s room was raring to go. 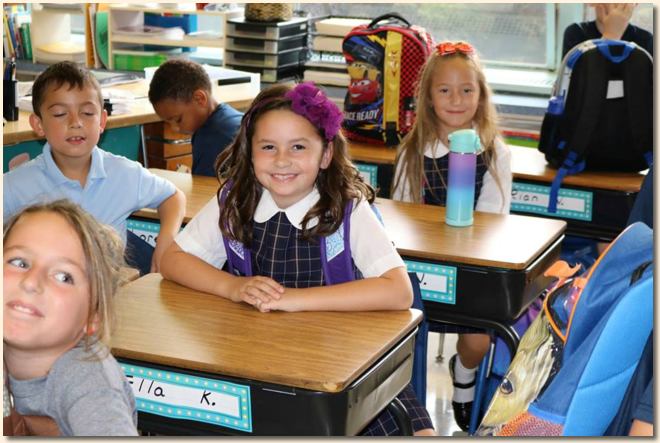 have their desks filled and their smiles on! Everyone has grown so much over the summer and we are looking forward to a great year.